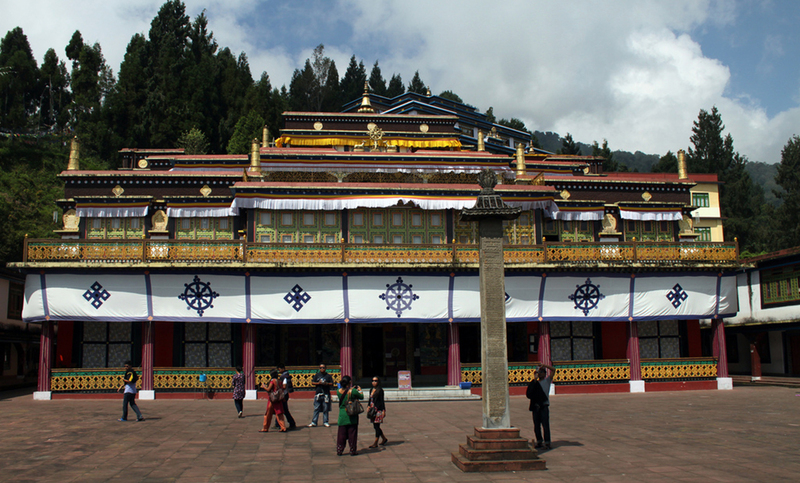 Gangtok is the capital of the Indian Himalayan state of Sikkim. The balmy weather and beautiful landscapes of Sikkim have earned it the sobriquet of, “Switzerland of India”. Sikkim is indeed a state that seems to have been doubly blessed with nature. A state that stands in the midst of the Himalayan ranges and reverberates to the mystical chants of hundreds of Buddhist monasteries. Gangtok which is a unique destination in its own right is also the gateway to many amazing places that are unique in their own way. 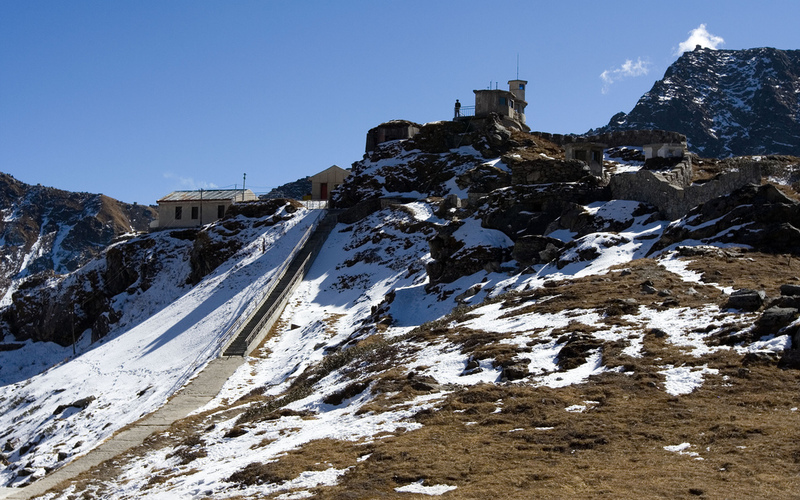 One area that is a must for a day trip from Gangtok is the Nathula Pass. The drive from Gangtok to Nathula Pass is in itself an experience one would thoroughly enjoy and never forget. Nathula Pass which nestles at the height of about 14, 000 feet is situated at a distance of about 56 kilometres from Gangtok. It is fascinating to note that Nathula Pass was part of the ancient Silk Route which connected India and Tibet. Though the distance is only 56 kilometres, the mountainous terrain and winding roads ensure that you would need a good 3 to 4 hours to reach Nathula Pass. 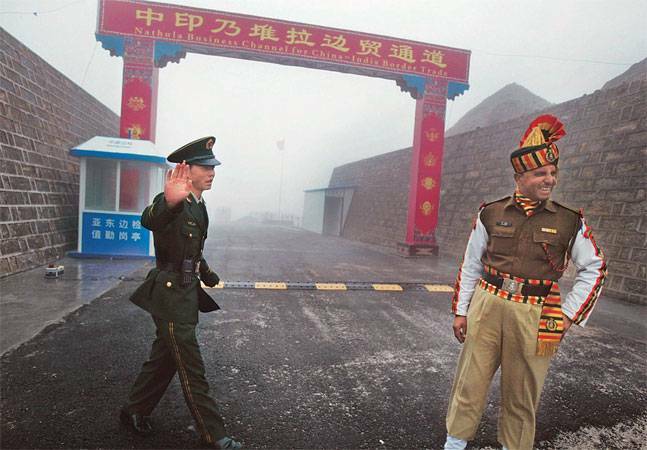 Access to the place is restricted, and one needs to obtain a permit as this is a high-security place on the Indo-China Border. As you leave Gangtok and your vehicle winds uphill, you are sure to let out a gasp of awe at the landscapes that unfold before your eyes. Rugged mountains, deep gorges vie with each other to grab your attention. On one side of the road is a sheer rock face while you see a sheer drop on the other side as you slowly wind your way through the mountains. It is recommended that you take a pit stop halfway through for some hot steaming Maggi noodles and spicy tea. 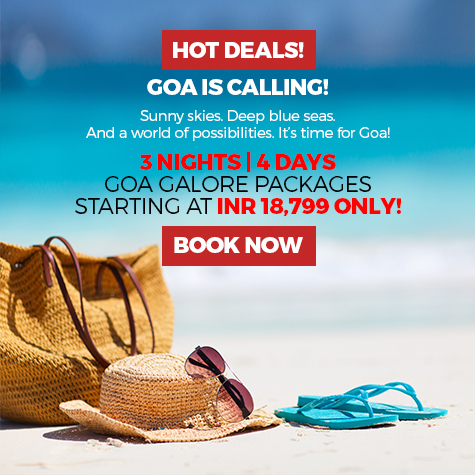 It is a great experience to savour these simple pleasures with some stunning views as accompaniment. Take a yak ride through a frozen lake! About 17 kilometres before the Nathula Pass you come to an ethereal looking lake which stands at an elevation of about 12,312 feet. The lake remains frozen for the most part of the year and is fed by the melting waters of the Himalayan glaciers. This is a popular place to stop for some great photo opportunities and if you are with kids, maybe hitch a Yak ride. The lake is pristine and considered sacred by the Buddhists. As you drive through the wilderness, your heart is sure to leap with joy at the sight of snow-capped mountains and clouds that virtually seem to touch the ground. The silence on the road is only broken by your own chatter or the sound of the engine of your vehicle. It is worthwhile to find a place to park on the street and spend some few moments just absorbing the serenity that pervades all around. Soon you arrive at a small town called Thegu where is situated the world’s highest ATM at 13,200 feet! You have barely recovered from the high of withdrawing cash from the world’s highest ATM when you arrive at a trading post which is the border trading post between India and China. If you are lucky, you may see a few Chinese vehicles around. Another prominent place that one should include in the trip is a slight deviation from the Nathula Pass road, but it is worth visiting as there is a unique temple known as Baba Mandir which is the Indian Army’s tribute to one of their own soldier who died while doing duty in the remote mountains. His bunker is now a temple, and the spirit of the soldier is said to move around warning the Indian troops of the movements of the Chinese troops. Finally, you arrive at the snow-carpeted Nathula Pass and may feel the scarcity of oxygen. But the incredible landscapes and the tranquillity of the place will overwhelm you. The presence of the Indian Army is sure to invoke in you admiration and pride for these brave soldiers who stand guard in this remote outpost of the country. The Indian national flag fluttering in the chilly winds is sure to stoke your patriotic emotions. The drive to Nathula Pass is indeed a unique adventure and experience, and no words can do justice to something that can be only experienced. 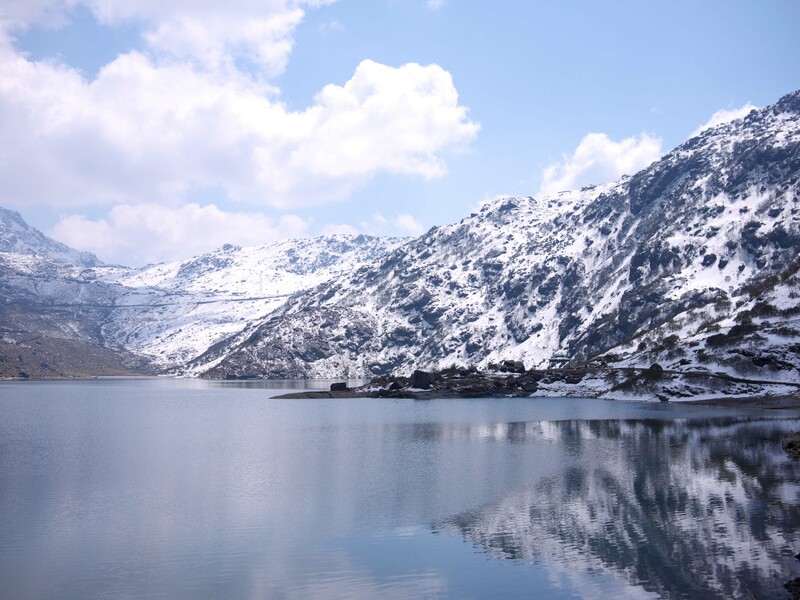 Gangtok is the place to set base and visit the wonders of Sikkim like Nathula Pass, Yumthang Valley and others. 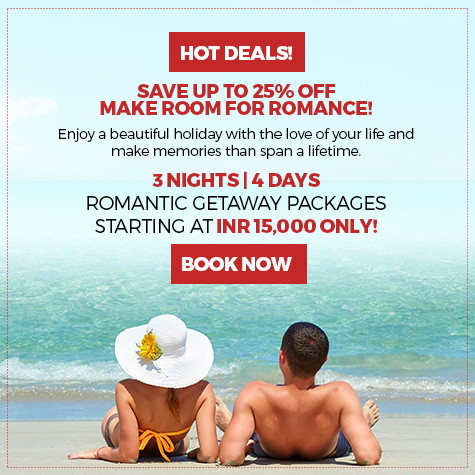 Sterling Gangtok is the place to stay and explore the wonders of Sikkim. Have you heard of the Bhumchu Festival in Gangtok?